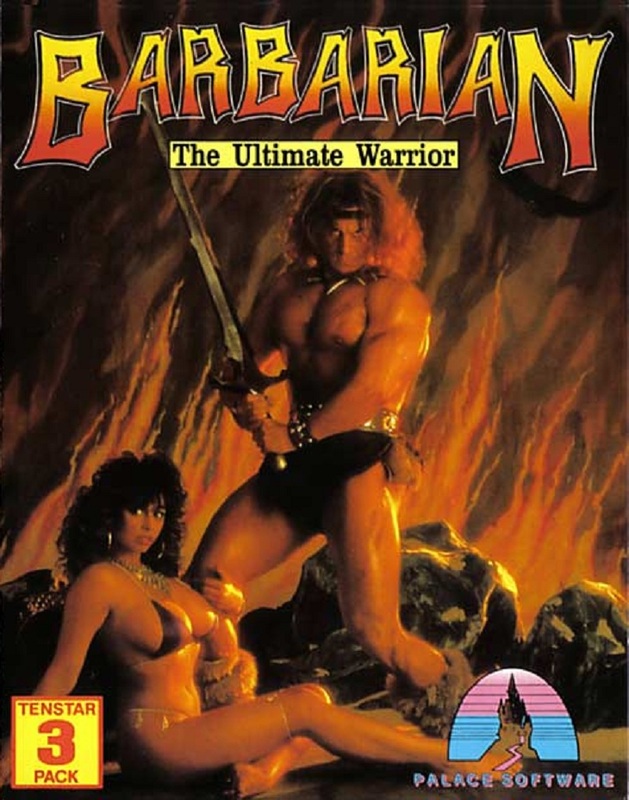 Barbarian: The Ultimate Warrior is a fighting game that supports one or two players. Players assume the roles of sword-wielding barbarians, who battle in locales such as a forest glade and a "fighting pit". The game's head-to-head mode lets a player fight against another or the computer in time-limited matches. The game also features a single-player story mode, which comprises a series of plot-connected challenges. If the players do not input any commands for a time, the game attempts a self-referencing action to draw their attentions: the barbarians turn to face the players, shrug their shoulders, and say "C'mon". The game awards points for successful attacks; the more complex the move, the higher the score awarded. A score board displays the highest points achieved for the game. In the single-player story mode, the player controls a nameless barbarian who is on a quest to defeat the evil wizard Drax. Princess Mariana has been kidnapped by Drax, who is protected by 8 barbarian warriors. The protagonist engages each of the other barbarians in single combat to the death. Overcoming them, he faces the wizard. After the barbarian has killed Drax, Mariana drops herself at her saviour's feet and the screen fades to black.